Our breakfastroom in the roof top has a magnificant view towards Gotschna and Madrisa. Fresh Bio-Eggs from the farmer Dicht, Alpkäse and local butter of the Alp Novai and Saaser Alp, honey from a Young beekeeper from Klosters, seasonal fresh fruits, bread from our bakery Hitz, meet from our village butchery Guler – a rich and healty breakfast buffet made out of lokal products. Advanced order of lunch boxes and tea for your daily outdoor trips. 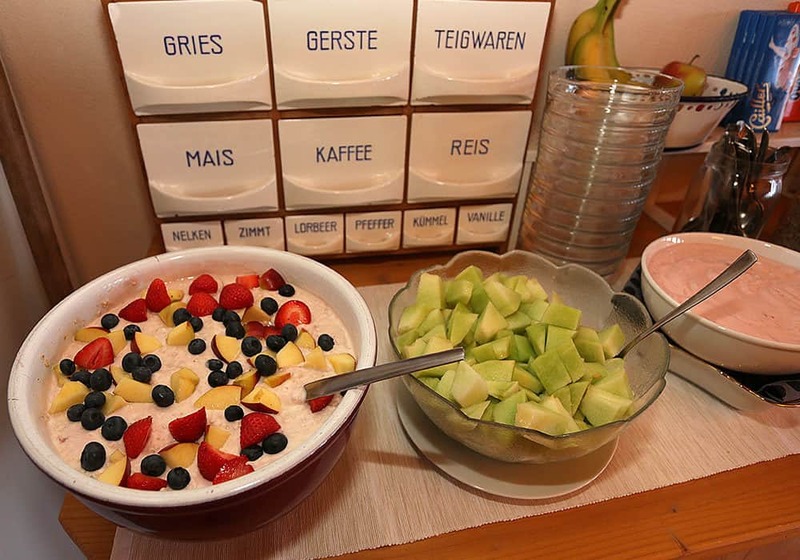 We also do offer Halfboard with a delicious and generious “Buffet” at the Silvretta Parkhotel (3 walking minutes away) for CHF 49.-. Christmas/New Years Menue/Prices on request. .